I am super excited about today's review and have been diligently testing this product for a month and half. As you can tell from the post's title, today's magical little product is meant to help eyebrow and eyelash growth. 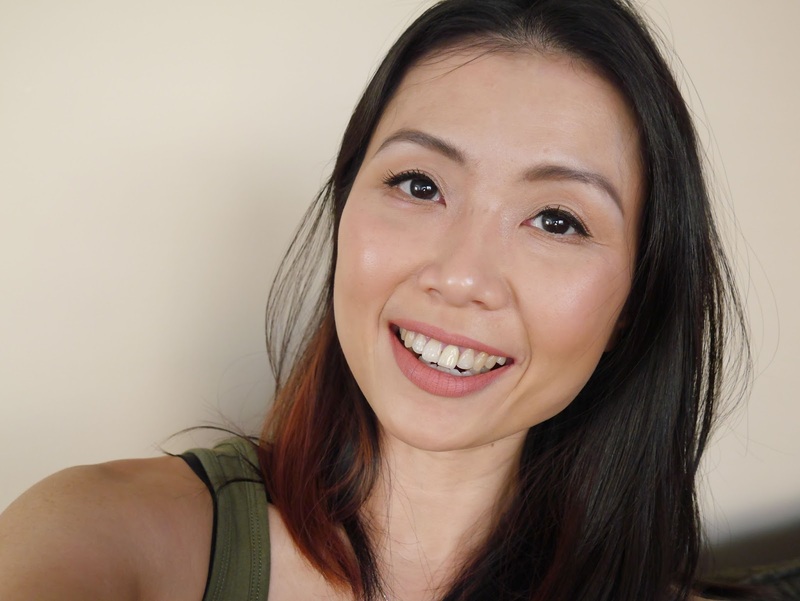 My struggle with short, sparse and stick straight eyelashes is well documented throughout this blog. I've spent the most of my money on mascaras, desperately trying to discover a magical gem that would instantly transform my eyelashes so they could reach my brows...which unfortunately are also sparse. And I easily spend 20 minutes filling in my brows every day so whenever my husband and I are heading out, he'll make sure that I start getting ready two hours before. I am not a stranger to lash serum though, I have used RapidLash on and off back in Malaysia but the price is crazy expensive there. So when the opportunity came knocking for me to test Plume Lash and Brow Enhancing Serum*, this mama jumped on it like a hungry man on a Christmas ham. Bonus? 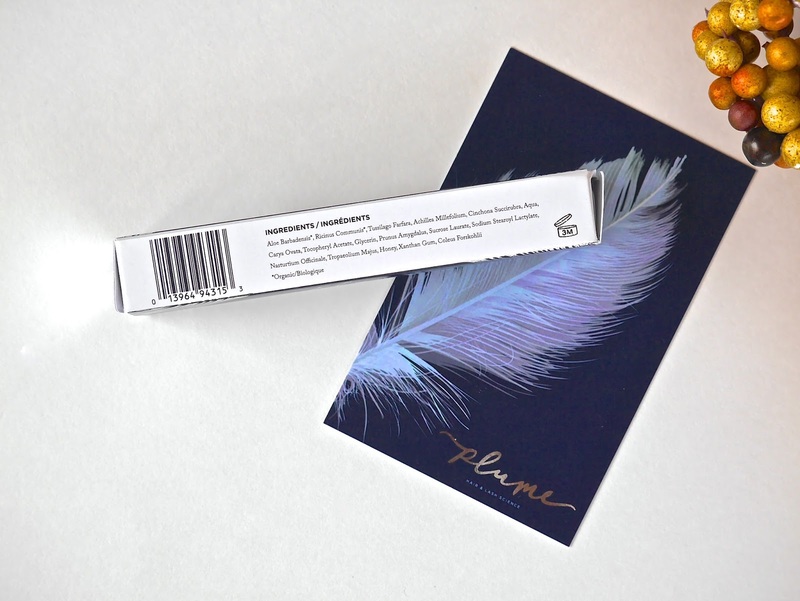 Plume is a Canadian-based cosmetics company, what's not to like? 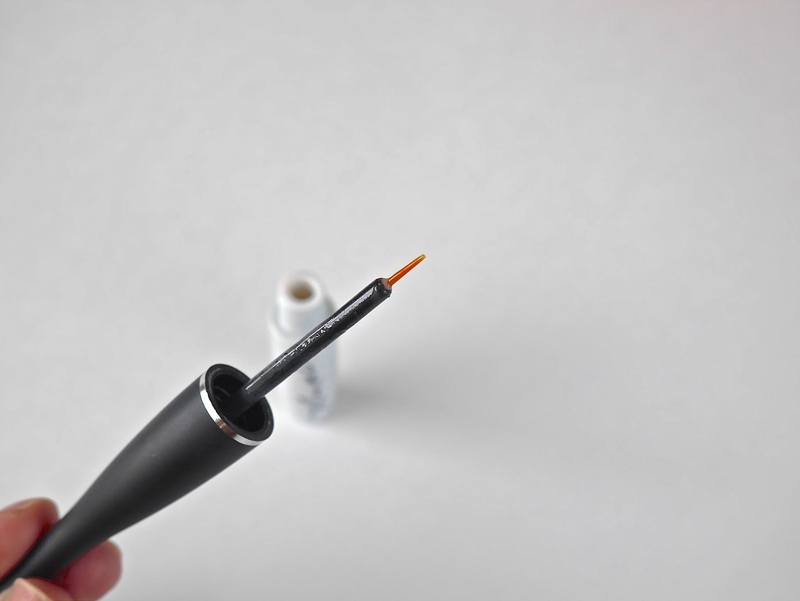 Initially I used this on eyebrows and eyelashes both day and night as instructed however I found it to interfere with my liquid liner and mascara application. I find a couple of my liquid liners don't last as long on my lids and a few mascaras don't apply as nicely at the roots. So after two weeks of twice daily applications, I stuck to only in the evenings. Let's talk about the good, the ingredients are natural so it can be used by contact lens wearers, anyone with sensitive eyes and women who are pregnant or nursing. I have no problems applying this on my lower lash line, something that I am wary of with Rapidlash as there have been reports of irritation. Does it work? 100% yes but the results are much slower and very subtle and I believe this has lots to do with the all natural ingredients. It took me 5 weeks to finally notice my lashes are fuller, slightly longer and the most obvious result is the fact I have lower lashes now. Previously I had none, like nada...lower lashes? What lower lashes? They don't exist in my dictionary. 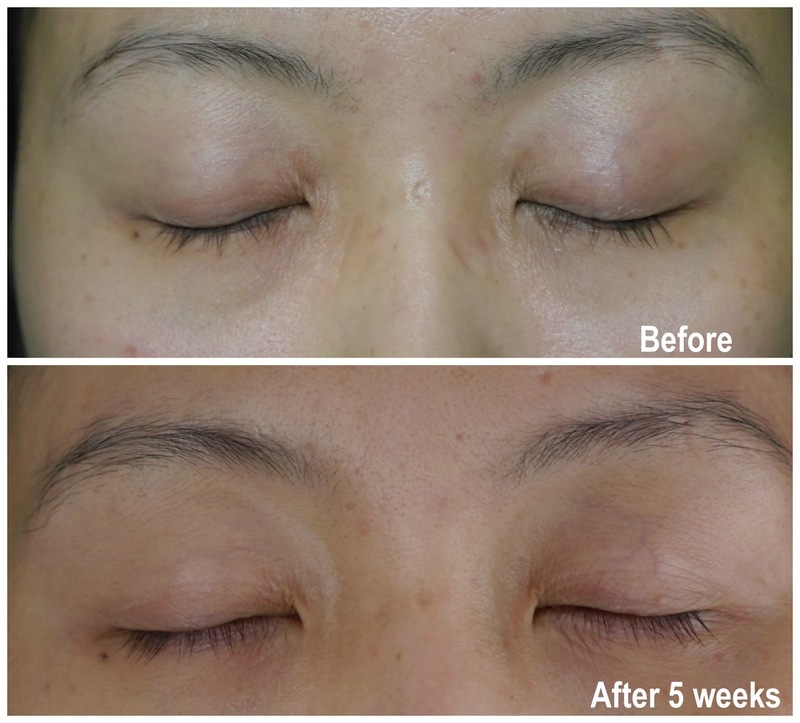 On my eyebrows, there are some fullness but again, the results are minimal. Now to the not so good, the price. Yes it does come in a 5mL tube but it's pricey at USD$95.00 and you need to use it within 3 months. So if you forget or only use it in the evenings like me, you will not finish the tube within 3 months and then you're..well, pretty much screwed unless you're brave or foolish and continue to use it on your lash line. I highly suggest NOT to continue using after 3 months as your lash line, actually your eye in general are very sensitive areas and you don't want any irritation or inflammation. The good news is Plume provides their Canadian customers a currency exchange rate discount. Canadians only have to apply code 'CDN' at checkout in order to receive the discount. 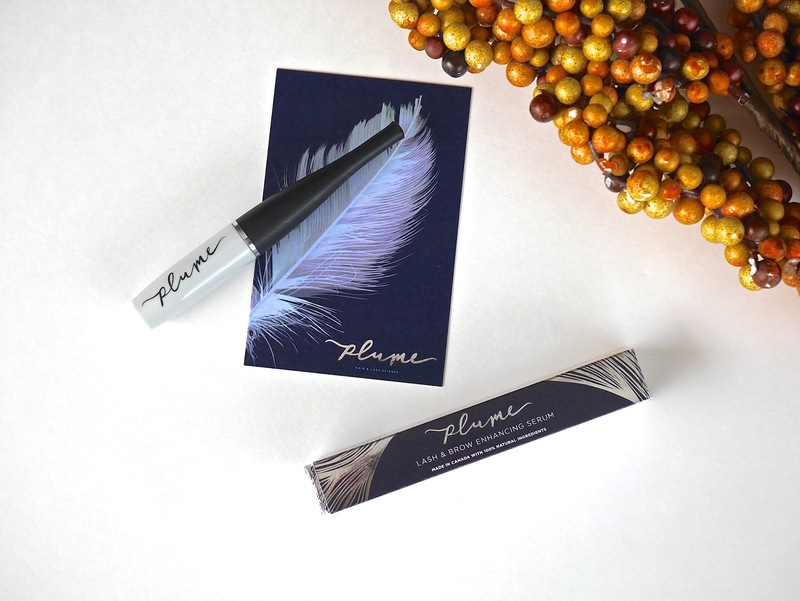 If you have always wanted to try a lash serum but are worried of the potential side effects then I highly suggest trying Plume. 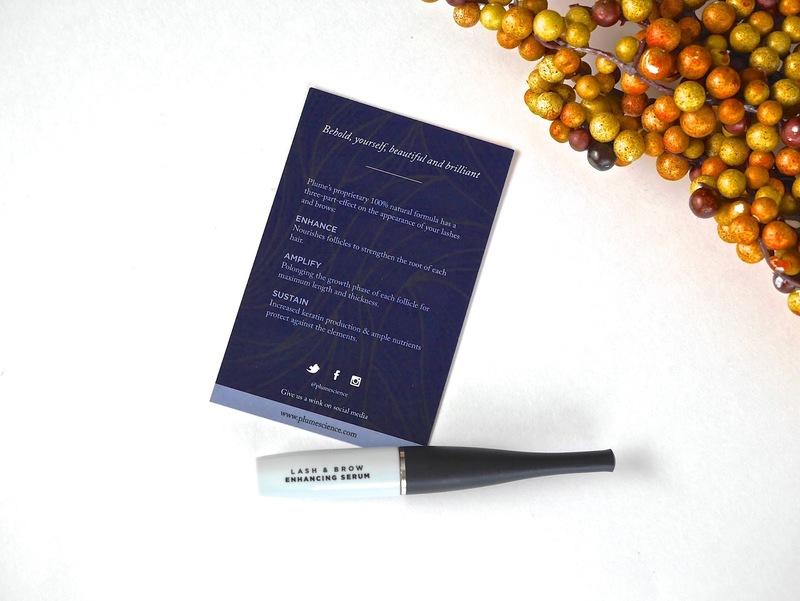 To find out more or for purchase Plume Lash and Brow Enhancing Serum, click here.